Welcome to the Champion City Comics Trailer Park. Every Saturday we will review a trailer of interest and give our take on the good and the bad. The powers that be have decided to disable embedding the trailer, but you can watch it here. 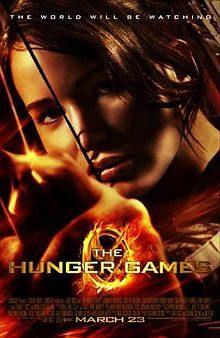 Synopsis from IMDB: Set in a future where the Capitol selects a boy and girl from the twelve districts to fight to the death on live television, Katniss Everdeen volunteers to take her younger sister's place for the latest match. The Good: The trailer looks solid and The Hunger Games series was wildly popular, so this film will crush the competition at the box office. I'm reading The Hunger Games and after viewing the trailers, I am very impressed with the visuals and casting. Also, I have read the the cast and director have signed on to four movies, so Hollywood has plenty of faith in this franchise. The Bad: There is nothing from the trailer that worries me at this time. I've seen some real stinkers in the Trailer Park, so it is nice to see a movie that has the makings of being a pre-summer blockbuster. If I were to list a "bad" then it would be the fact that the movie can not give the reader everything they want in the film, but that's a minor gripe.